Irene Steele shares her idyllic life in a beautiful Iowa City Victorian house with a husband who loves her to sky-writing, sentimental extremes. But as she rings in the new year one cold and snowy night, everything she thought she knew falls to pieces with a shocking phone call: her beloved husband, away on business, has been killed in a plane crash. Before Irene can even process the news, she must first confront the perplexing details of her husband's death on the distant Caribbean island of St. John. After Irene and her sons arrive at this faraway paradise, they make yet another shocking discovery: her husband had been living a secret life. As Irene untangles a web of intrigue and deceit, and as she and her sons find themselves drawn into the vibrant island culture, they have to face the truth about their family, and about their own futures. 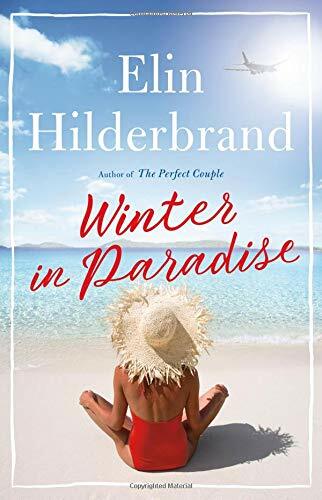 Rich with the lush beauty of the tropics and the drama, romance, and intrigue only Elin Hilderbrand can deliver, Winter in Paradise is a truly transporting novel, and the exciting start to a new series.